Get an industry-recognised qualification that will help you launch a successful career in sports! 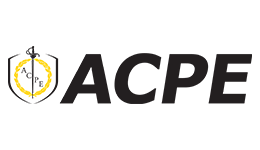 This Bachelor of Sports Coaching (Strength & Conditioning) from the Australian College of Physical Education (ACPE) is a great blend of theoretical and practical training to give your career a head start. The course covers a range of fundamental skills that will help set you up for success in your future career. You'll develop capabilities in coaching, sports science, management and business, giving you insight into the bigger picture of the industry. You'll also study advanced strength and conditioning practices, allowing you to pursue employment opportunities as a specialist in this area. Coupled with the general management and business skills covered in this course, you'll exit the course with a set of flexible skills and great prospects for career progression. This course offers a blended learning experience, so you can enjoy their host of awesome facilities on campus in Sydney Olympic Park, as well as study a few modules at your own pace, online. Upon successful completion of this course you will receive a Bachelor of Sports Coaching (Strength & Conditioning) from Australian College of Physical Education. Australian College of Physical Education gives students the option to choose a payment plan in addition to the option of paying upfront.